Bookcases are often the centerpiece of a room. They set the tone and mood for any space, and are also a perfect place to show off your interests, hobbies, passions and memories. 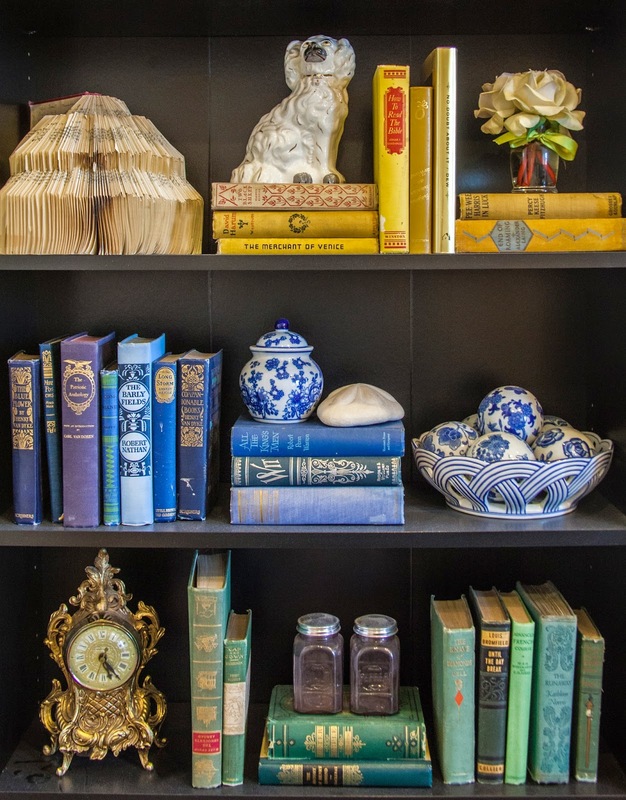 to create visual interest in your bookcases. 1.) 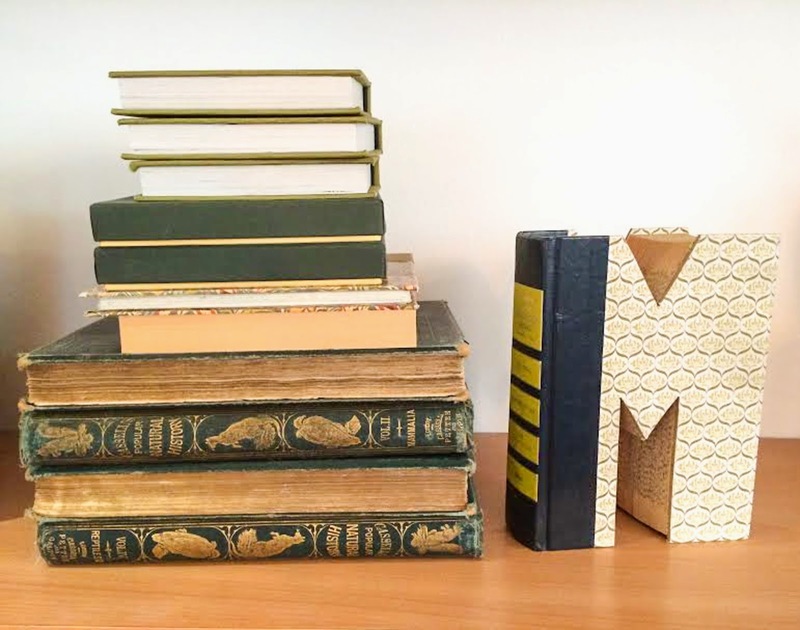 Have a variety of vertical and horizontal groupings of your books. This is a great way to break up the space, and to direct the eye to different levels of each shelf. 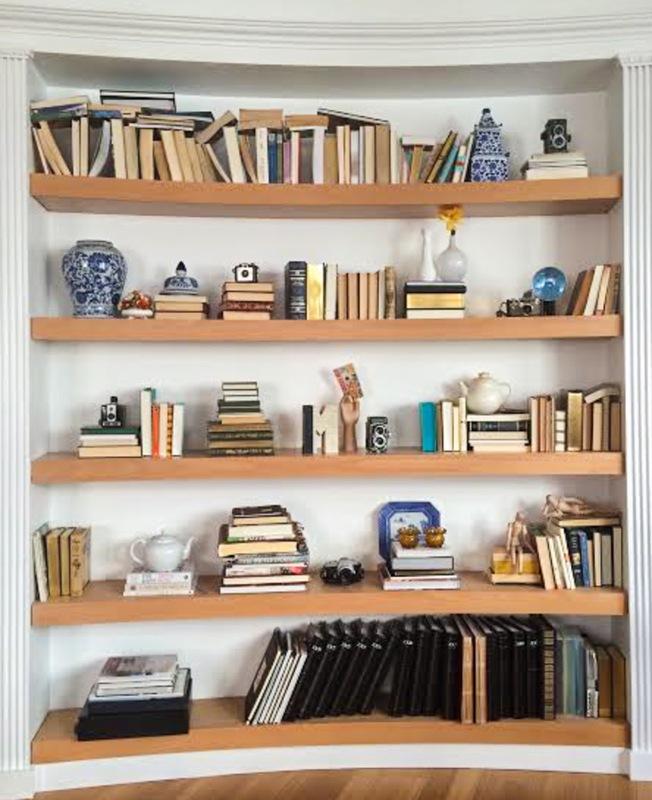 By having all the books on one shelf stacked all vertically or horizontally, it may create a visual weight that can make bookcases seem heavy or stuffy and it can lack visual interest. Bookcases, filled to the brim with books can be magical, and if done correctly, can look crisp and organized. But they can also tend to look like a university library or a book store. 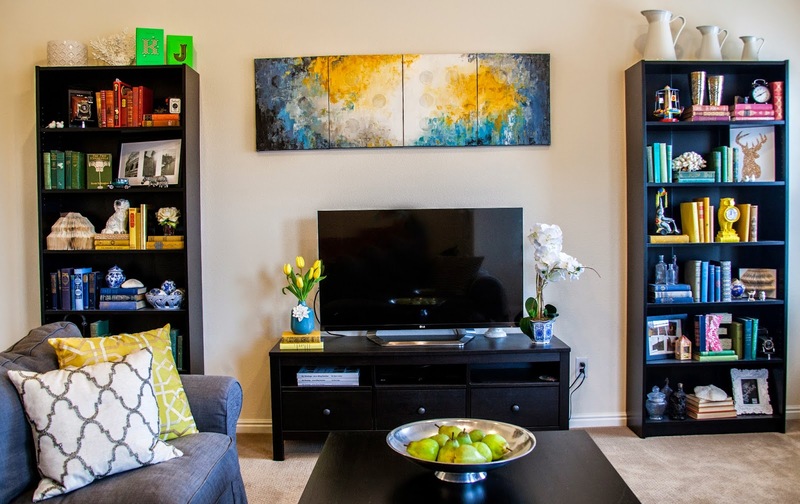 When you have bookcases in your home, you can use them as a way to express your personality. 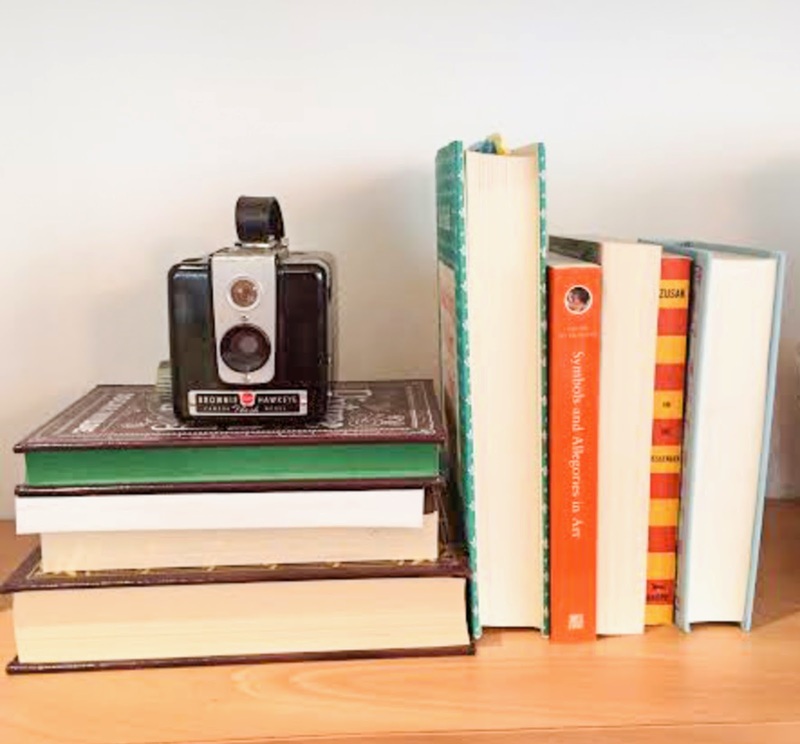 Mix souvenirs from your travels in with your books, or if you are into antiquing or art or photographs or model cars etc. mix and match your collections in with your books. It creates amazing visual interest for your bookcases and makes them your own, not to mention they become wonderful conversation starters whenever you have guests over. In any type of art, negative space is just as important as the primary subject. The same idea applies to the art of styling your bookcases, it is important to leave negative space. 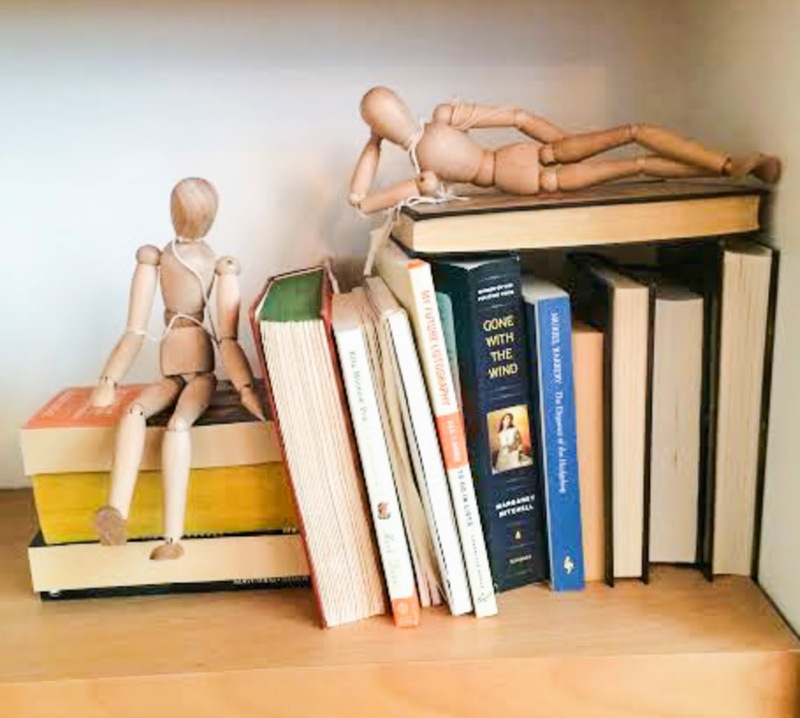 If you fill each shelf completely full of fun items and books, it can come across as cluttered and it robs the viewer of the chance to appreciate each piece in the grouping. Make sure you can see the back of each shelf, and each item and book has enough room to make a statement and not get lost in the composition. 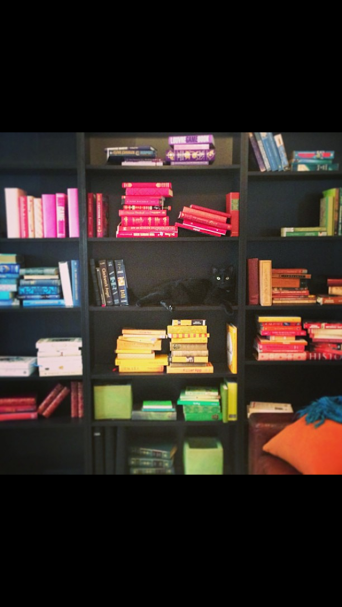 Arranging your books by color is a fun and unique way to brighten up any room. It's also a great way to pull in colors if you don't want to commit to a paint color for a wall or if your in a rental property and painting just isn't an option. It's also fun to rearrange your shelves for different holidays, use green and red for christmas, or yellow, green and lavender for easter. You could use analogous colors to create a desired mood or feeling for a room. Using cool colors will create a more calming and peaceful atmosphere while warm colors will energize and liven up a space. There are so many options with color, the list goes on and on. Having a bookcase full of clean and classic neutral colors can bring a breath of fresh air to your living space. It's refreshing, it's light and it goes with absolutely everything. A great way to achieve this look is by turning your books around so their spines are facing the back of the shelf and their white, cream and beige pages create a great uniform look. This is also a good way to go if you have a random assortment of books and you don't like the way the spines look or you don't think they go together very well. 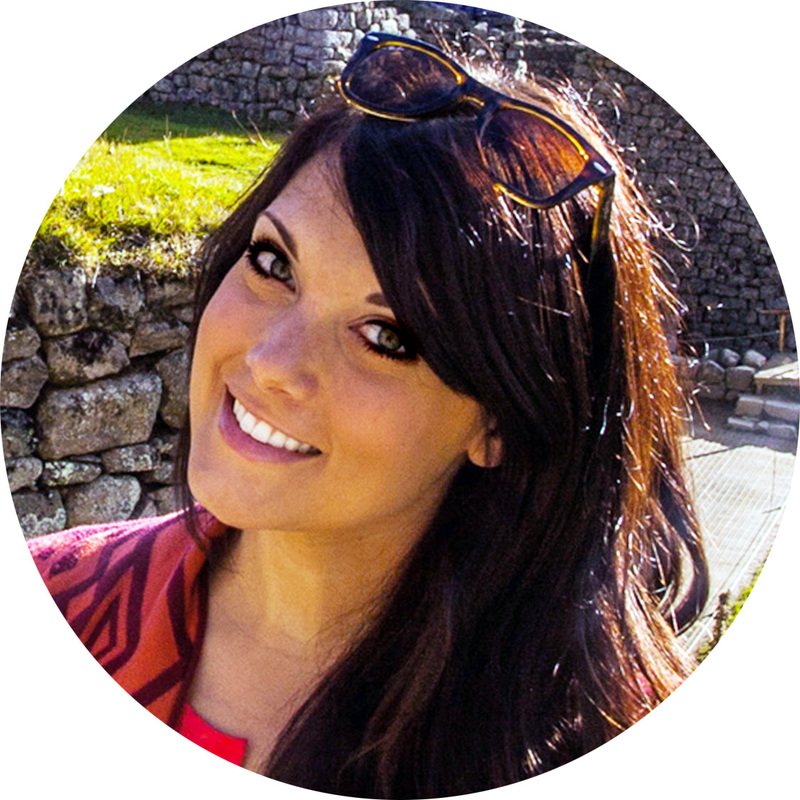 I hope you have found one or all of these suggestions interesting and useful. I would love to hear some bookcase styling ideas that you have implemented in your home, share them with us in the comments below! 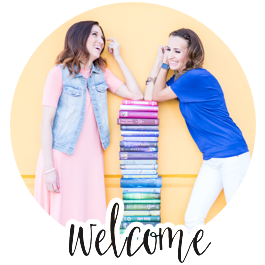 I would also love to see if you have taken any of these suggestions and added your own flare and creativity for a fun new look, take a picture of your newly styled bookcases, post it to instagram and make sure to tag @deliciousreads in your caption so I can see how they turn out! 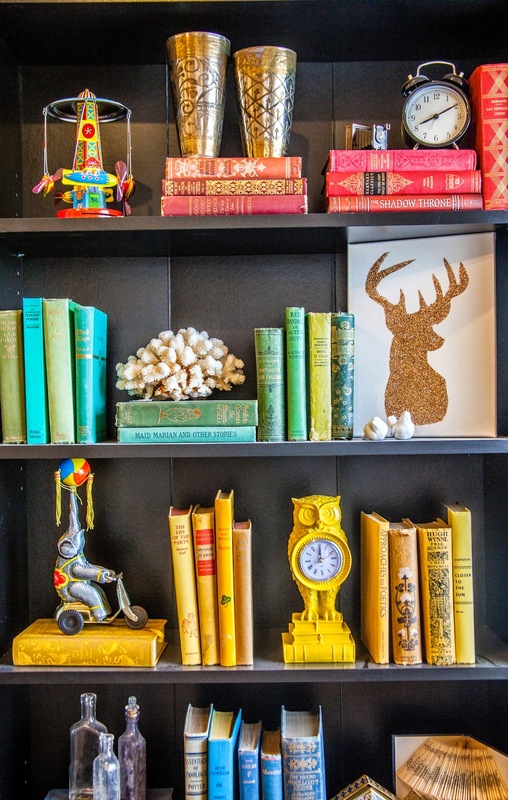 Next month I will be sharing a fun and crafty way to achieve these looks even if you don't have the colors of books you are wanting for your bookcase, or if you don't have enough neutral books to fill the space, make sure you check back to see what great tip I have for you! Great Ideas Kitch! I love the look of separating them into colors...beautiful! This is inspiring. I can't wait until I finish my library room so I can do my shelves like this. I like the uncrowded look of your bookshelves, and the variety of interesting objects besides the books to look at and enjoy. Love organizing books by color, it is cheerful and energizing. I already tackled my book shelf that was the worst offender.